Listen to "Beyond the Messy Truth: How We Came Apart, How We Come Together" on your iOS and Android device. Awsome Person. Love Van Jones. Great inspration for me to understand the right more clearly. I will con’t to watch Van Jones on CNN! 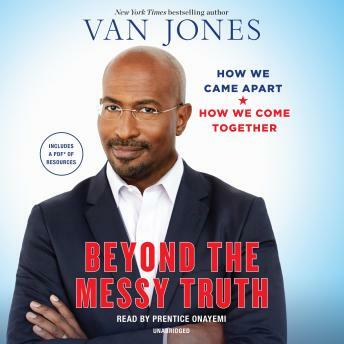 My feedback would be, that if Van Jones did his own narration this book would have gotten a Five-Start Rating. Only due to his way of speaking ‘Real’ to the Audience.